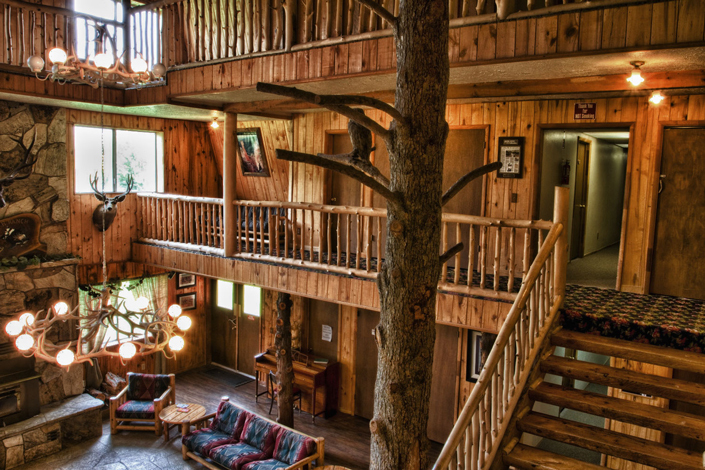 The first thing that catches your eye as you approach the Rockin’ R Ranch is the majestic dude ranch lodge. Whether you’re kicking up your heels and line dancing, savoring the home-style meals in the dining room, nestling into an overstuffed chair to enjoy a book, or stopping by the ice cream parlor for a refreshing cone, you’ll love the Old-West atmosphere we’ve created. 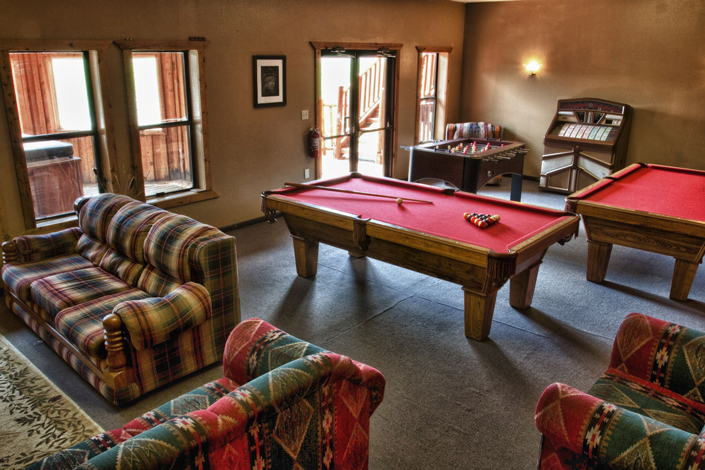 There’s something new around every corner of the dude ranch—a gift shop, large game/multipurpose rooms, conference room, and much more.